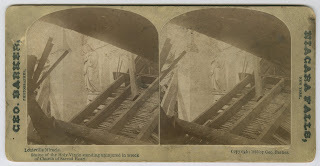 The Louisville Tornado of 1890 stereographs (dated 1890; 0.05 cubic feet; 13 items) are now on ExploreUK. 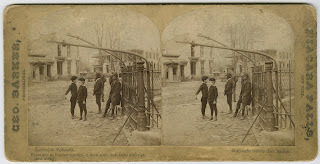 The collection comprises stereographs that document the Louisville Tornado of 1890 taken by George Barker. Identified locations include the Louisville Tobacco Warehouse, Baxter Square, Burnhams Store, the Church of the Sacred Heart, St. John’s Church, Falls City Hall, and the Union Depot. These images document the wreckage in different regions of the city. The Louisville Tornado of 1890 occurred on March 27, killing over one-hundred people and injuring fifty-five. The tornado hit much of the downtown area, flattening many buildings. Among the many businesses, homes, warehouses, and buildings that were destroyed, the Falls City Hall was one of the most damaged sites. This tornado still remains one of the most destructive natural disaster in the history of Kentucky. On March 5, 1964, Dr. Martin Luther King, Jr., led ten thousand people on a peaceful Civil Rights march in Frankfort, Kentucky. The rally supported a bill to desegregate public accommodations in Kentucky. 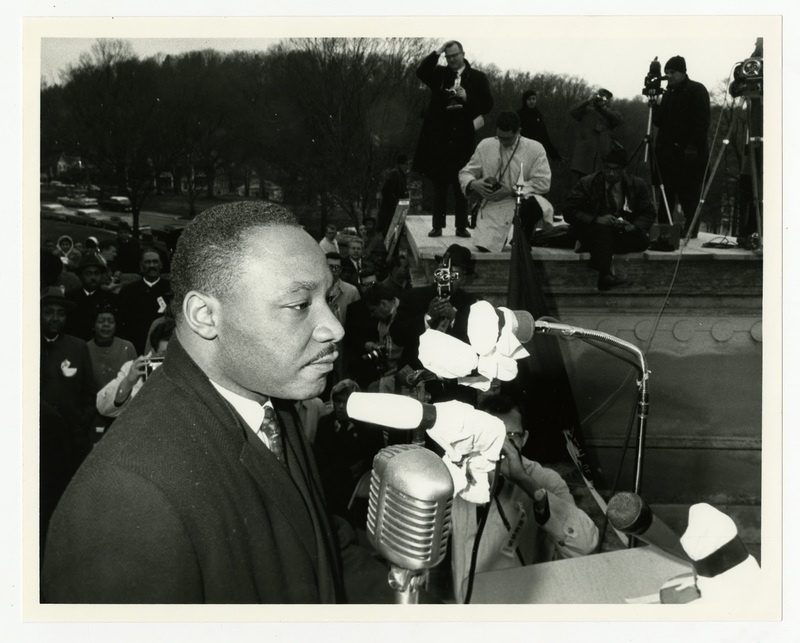 Dr. King and several other leaders gave speeches backing the proposed bill and met with Gov. Breathitt. After the march, a group of people led by Frank Stanley, Jr., staged a hunger strike in the House gallery to coerce legislators to pass the bill. It never made it out of committee, but the subsequent Civil Rights Act of 1966 was passed in large part to the influence garnered by the march and hunger strike. For further details and photographs from this march, see the Jim Curtis photograph collection on Civil Rights in Kentucky. Speaking of digitized Appalachian resources, did you know about this site?